Picture by SANDY McCOOK 3rd January '17 Firefighters continue to extinguish the fire which destroyed a house in the Foxhole area of Kiltarlity overnight Tuesday to Wednesday. A dispute preventing firefighters from being deployed to resuscitate heart attack patients in rural areas is poised to enter its second year. Trials of the new service – viewed as vital in more remote areas where firefighters often arrive first to emergencies – were launched in 2015 and it had been due to be rolled out across Scotland. Under the scheme, specially-trained firefighters are deployed to administer vital CPR or use a defibrillator to try to save people suffering from a cardiac arrest. Turriff, Maud, Mull and Oban were among 16 areas where the out of hospital cardiac arrest (OHCA) call-outs were being piloted – and early results showed 15 positive outcomes from 41 call-outs in the first year. But the trials were halted amid a funding row in September last year after the Fire Brigades Union (FBU) informed its members across the UK that the work was non-contractual. It was also reported that specialist training to help firefighters respond to large-scale terror attacks was stopped at the same time as part of the dispute. In January, firefighters were offered a pay rise of up to 20% if they agreed to take on the new responsibilities, but wrangling over the implementation of the changes has continued. And the Scottish Fire and Rescue Service confirmed last night that negotiations remained ongoing – almost a year after the trials were halted. 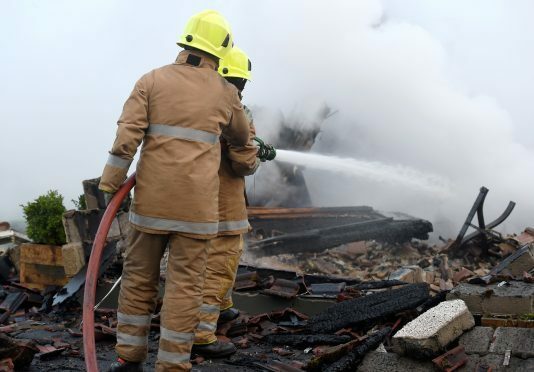 A service spokesman said: “We have moved to harmonise existing terms and conditions, demonstrating how we can work effectively with the Fire Brigades Union in Scotland to deliver the right outcome for our firefighters. An FBU spokeswoman said: “Proposals for a UK-wide deal for an increase in firefighters pay for new work are currently being discussed between the FBU and our employers through the NJC. “Any such deal is heavily dependent upon investment and sustainable funding by the governments across the UK. “The FBU in a recent meeting with Ash Denham, minister for community safety, and employer representatives on the NJC welcomed the broad commitment to provide funding.